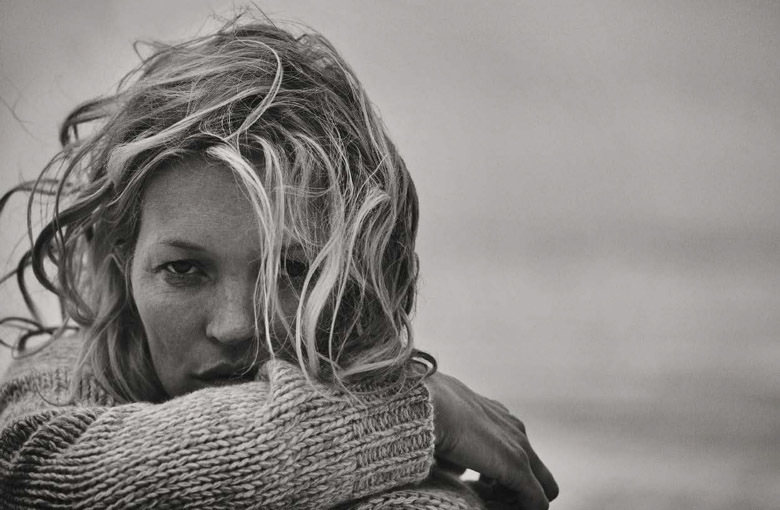 Kate Moss by Peter Lindbergh for Vogue Italy October 2016. Styled by Zoe Bedeaux. Hair by Julien D'ys. Make-up by Stephane Marais.